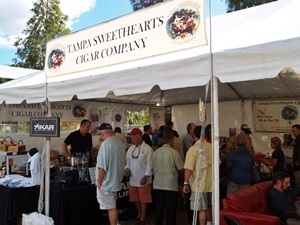 The Ybor City Cigar Festival takes place on December 2, 2018. 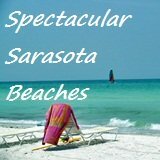 At this time of year it usually is held under bright blue skies filled with warm Florida sunshine. 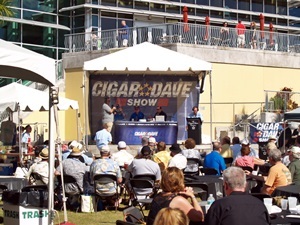 Cigar aficionados will be in attendance from near and far. One year one man was in attendance from as far away as Wasilla, Alaska, another from Bangor, Maine and numerous festival goers were from Canada. 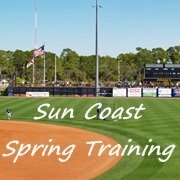 Of course at this time of year, early November, there’s a good chance that most of those attending from great distances are winter snowbirds here, from up north’s colder climate, for the entire season. 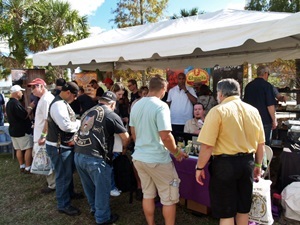 The revelers at the Ybor City Cigar Festival come from a wide array of backgrounds, too: from biker guys and gals to corporate CEO’s and VP’s. Heck, that was probably just a corporate CEO getting off that Harley Road King and lighting up a cigar! And yes, female cigar smokers of all ages are in attendance as well. 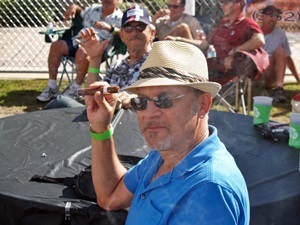 You see, this family friendly crowd has come out on this Sunkist day to enjoy some of the finer things in life, like camaraderie among their fellow cigar smokers, drinks, music and food. 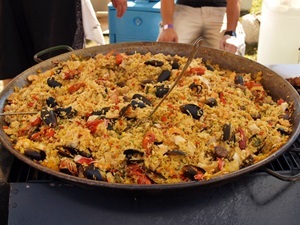 And there’s quite a bit of food available too, running the gamut from Greek, to Seafood to Mexican and everything in between at numerous food vendor tents spread throughout the park. 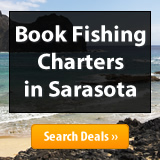 You’re never too far from a place to grab some grub, a beer or glass of wine. 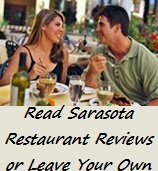 Here's a recommendation: If available at the fest, try Cigar City Brewing's "Maduro" Craft beer with a cigar while you're at the Ybor Cityr Cigar Fest. 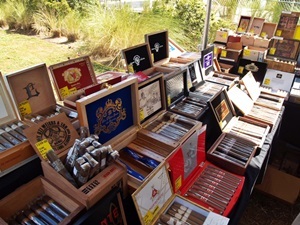 And there are cigars everywhere you turn; tents full of cigars on display for purchase. 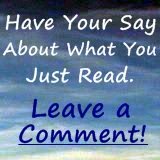 You don’t have to bring your own, you’ll have from among thousands to choose from; from big recognizable name brands like Fuente, Davidoff, Avo, Tampa Sweethearts and Have-a-Tampa, just to name a few, to smaller and newer brands and upstarts which may be worth investigating. Lots of local area cigar vendors are represented from Thompson Cigar of Tampa to the local Cigar Cave. 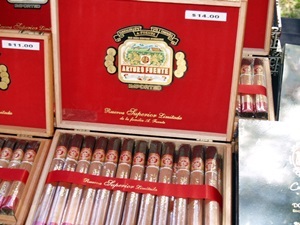 One of the cigars I selected from one of the many cigar vendors, after delighting in a Chicken Gyro from a Greek Food vendor, and a Cigar City Maduro (Dark) draft beer, was an Arturo Fuente Double Chateau...mild and creamy and smokes for a long time. In years past, with cigar and drink accompanying me, I found a table and chair to park myself at to kick back and enjoy the sites, sounds, cigar and people. 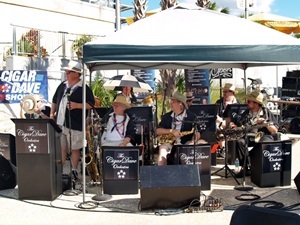 No longer a part of the Ybor City Cigar Festival, but in years past during breaks in the show, Cigar Dave's own Big Band Orchestra would takes over with great and classic American standards including the sounds of Sinatra. 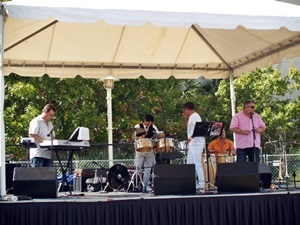 Everywhere I looked there were happy people, young and old, men and women, some accompanied by man’s best friend, everyone having a good time, listening to live music and to each other over some food, drinks and fine cigars at the Ybor City Cigar Festival. 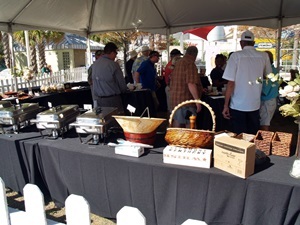 There is also usually a VIP/Kick-off party a night or two before the Festival at another location, sometimes with special guests from the cigar industry. There's also a special VIP are within the festival that you may buy a ticket for. 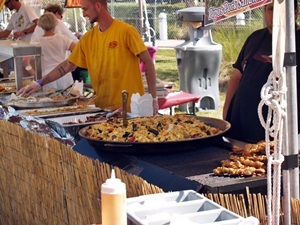 Click here for more on the annual fest. 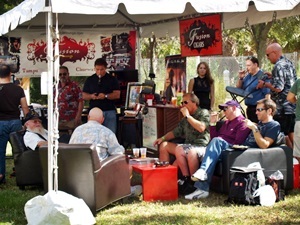 From 11 a.m. – 5 p.m. with lots of gourmet food truck vendors, drink and cigar vendors, live music, entertainment, special guests and more, the Ybor City Cigar Fest is definitely worth checking into if you are into the pastime of enjoying a fine cigar. Free admission. Family friendly. Pet friendly. 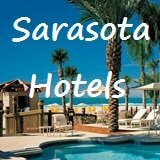 It’s only about a 70 – 80 minute drive from the Sarasota area, up over the Sunshine Skyway Bridge and into downtown Tampa. 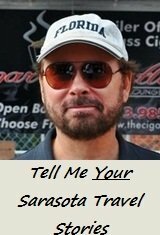 Perhaps I’ll see you at the next Ybor City Cigar Fest. Smoke ‘em if you got ‘em!